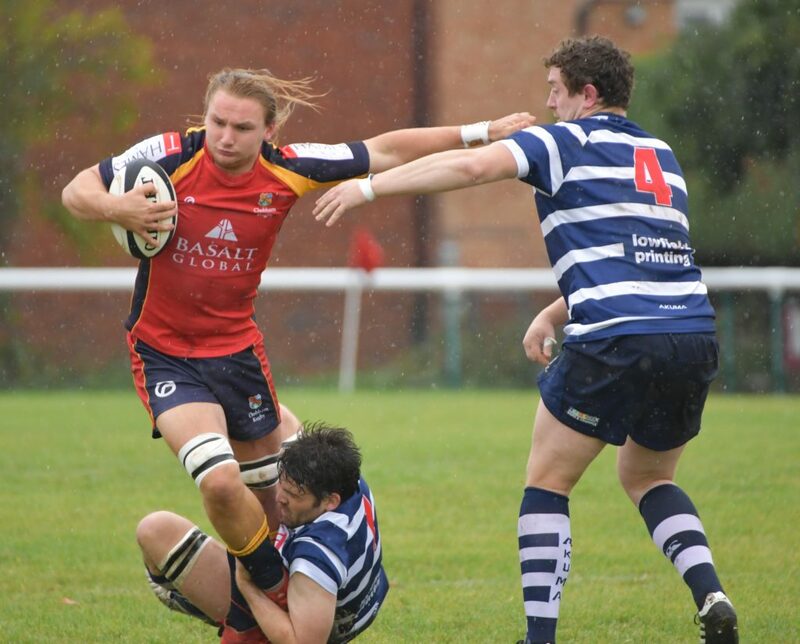 Having come down from London 1 Premier this season and only having been relegated by the skin of their teeth, Westcombe Park are most certainly looking to bounce straight back up. 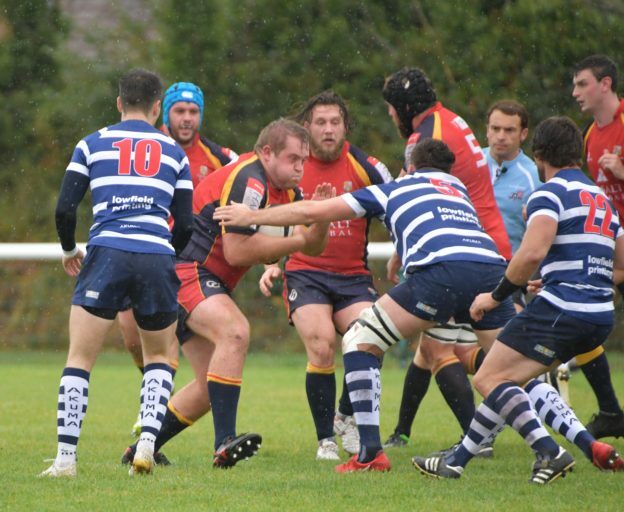 Both squads and their supporters a like were greeted by a pretty grey, wet and miserable afternoon at Fowlers Wells for this game which was a far a cry from the conditions that either side have probably faced so far this season. The much changed Chobham side were unfortunately slow out of the blocks and the physical Westcombe boys were not as they immediately put their hosts under a great deal of pressure. 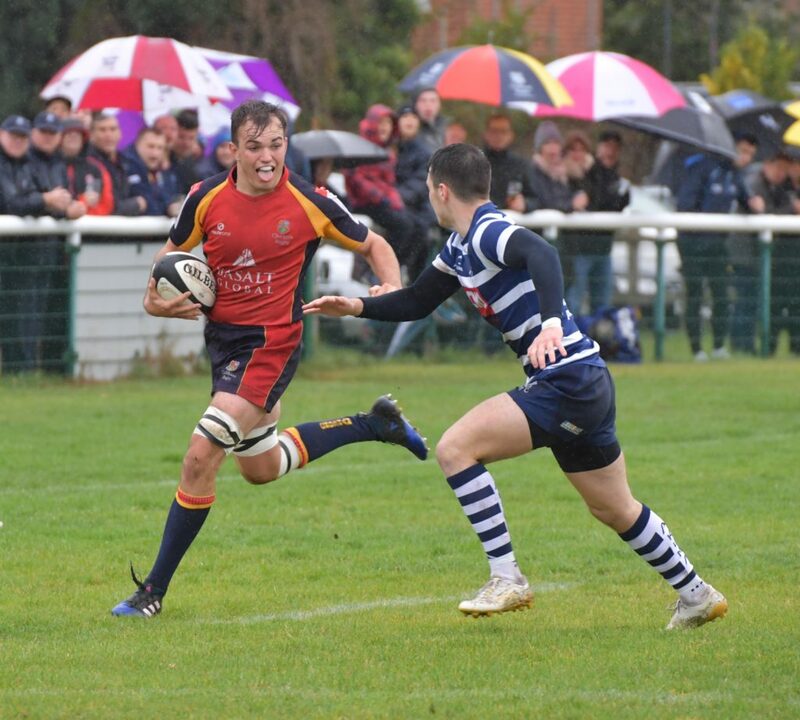 This pressure first saw them bag a converted try before it also saw the Chobham team begin to infringe more than the referee liked and this saw TWO of the home players sent to the sin bin for technical penalties within 30 seconds of each other. Faced with adversity, playing with 13 men gave the Chobham men the shot to the arm they needed and they began to play. They began to get themselves into the game and began to apply their own pressure throughout the first half. As their two men returned they were in the ascendancy but just couldn’t quite convert this into points. 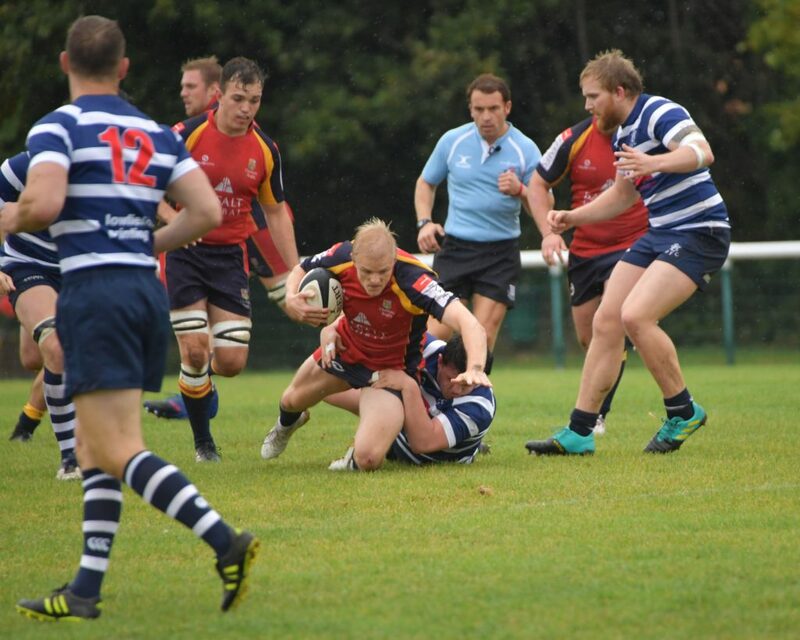 On several occasions the home side looked like breaking their duck through the driving maul, and Westcombe Park were allowed to stop them marching over the line. The start of the second half prompted a 15 minute period in which Chobham really did shoot themelves in the foot as they gifted the travelling team 3 scores taken with relative ease. Poor defensive organisation, followed by a one on one missed tackle, followed by a dropped ball falling in to the arms of the oncoming Kent men, in not much more than a blink of an eye the game had got away from the home side and they really were look at a daunting 25 minutes of play. But again, Chobham manged to react to the adversity and began to perform much, much better. Challenging the Westcombe defence but they remained resolute. 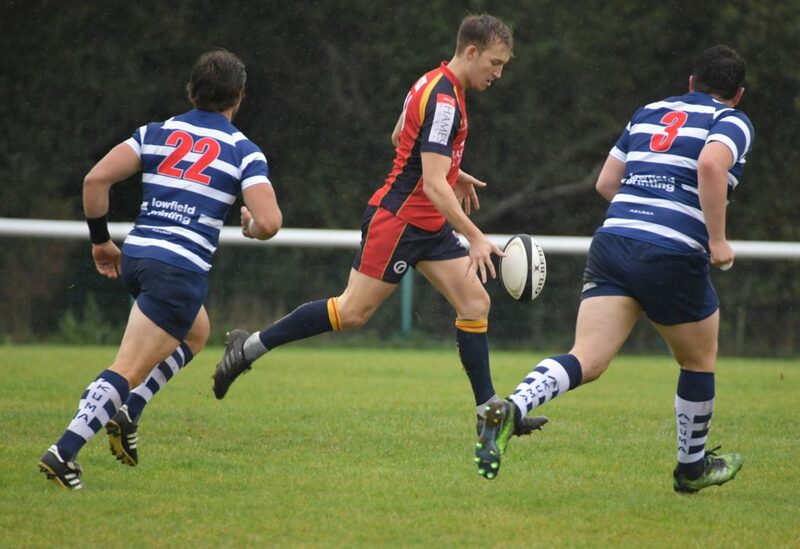 An interception allowed Westcombe Park to score another and with 5 of 6 conversions made the visitors ran out 0-40 winners. Everyone at Chobham would like to send their very best wishes to the Westcombe prop who was sadly forced from the field of play on a stretcher. We hope you have a speedy recovery. ‘Combe’ looked every part the title contenders. They controlled the game for long periods beautifully, their fly half kicked superbly both out of hand and from the tee, and controlled where on the pitch the game was played which could not be more vital on a wet and miserable afternoon, and their defence was physical and aggressive throughout. 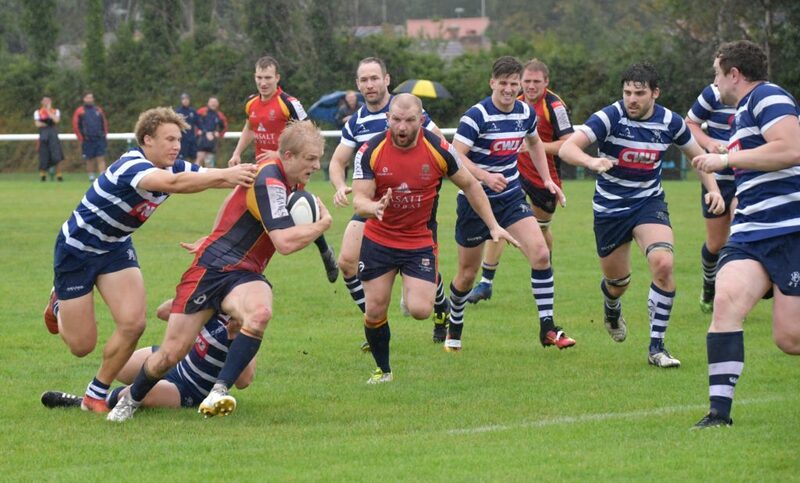 Chobham will be incredibly disappointed with both their performance and the manner of the defeat in terms of score but will be working hard to dust themselves off and be fully prepared for next weeks contest near the South Coast of Hampshire as they travel to Tottonians. The man of the match award went to Number 8 Ben Whale who worked tirelessly in the pursuit of getting Chobham on the front foot and tackled ferociously all afternoon.